Should you do a bridal shoot prior to your wedding day? It's a great idea to have a separate portrait photo session for several reasons. It allows you to see how your makeup will look which is a great test run before the big day. You can let your makeup artist know of any changes you want. It's also a great way to get comfortable with your photographer. But mostly, it allows you to get a wider variety of looks, poses and locations in your bridal wedding photos. For example, we could take this bride to a very special spot on the property that is rarely open (and was not available on the wedding day) and experiment with our tilt-shift lens for a more dreamy look. More time dedicated solely to you, means you can be more more relaxed. More time also means we as your photographers have the flexibility to be more creative. And let's face it, your wedding day is going to fly by so quickly and most of your time will be dedicated to enjoying your guests and your wedding party! So why not put that gown you invested so much in to good use on a day-before or a day-after session and get some amazing photos that would not be possible on the wedding day. 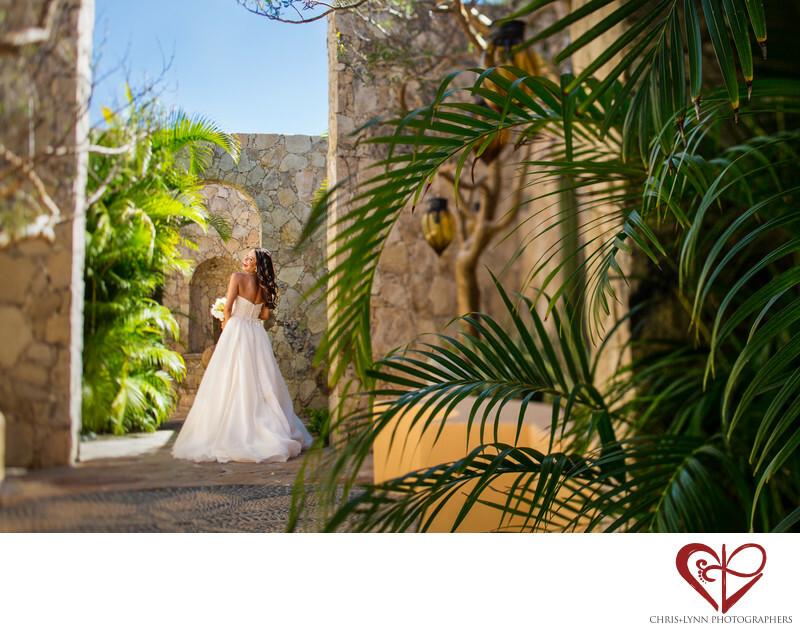 See more of this beautiful Mexico wedding featured on the Junebug Weddings blog. 1/1250; f/4.0; ISO 400; 45.0 mm.